It’s easy to see why Ladera Ranch patients and cosmetic dentists love porcelain veneers. They correct a multitude of cosmetic flaws and deliver dazzling results for our Rancho Santa Margarita area patients. If you are considering beautifying your smile with porcelain veneers in Ladera Ranch, you’re going to want a trusted dentist with extensive experience performing this treatment. The porcelain veneer procedure is more complicated than many cosmetic dental patients realize. A porcelain veneer is an extremely thin shell (about .5mm or 1/64 inch) that is permanently attached to the front of a tooth. They are custom made for each patient. Veneers in Ladera Ranch cover chips, cracks, and stains. They can also improve the shape, size or length of a tooth. The dentist must also work closely with the dental lab technician who fabricates the veneers in Ladera Ranch. The lab technician’s skill level and quality of materials are just as vital as the expertise of the cosmetic dentist. Veneers are usually placed on the most visible teeth – center stage, so to speak. This is because they are on display every time the patient opens their mouth. This is definitely a procedure you want to get right the first time! 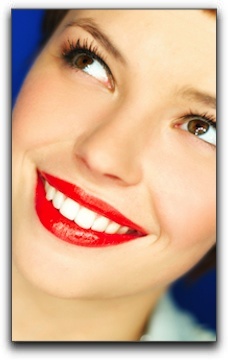 Do Dental Veneers In Ladera Ranch Make Your Teeth Look Bigger?